Could your church stock up your local library? Churches that help libraries help themselves, says a trust dedicated to making Christian literature more widely available. Speaking Volumes Director Paula Renouf says that donating good Christian books to public libraries is a great way to ensure that people hear about the Christian faith. "In an increasingly secular society, we as Christians need to think outside the box about how we reach people and help them understand the Christian faith," says Paula. "People might not go to church but they might consider borrowing a book from their local library. In a society where many adults and children do not know what Easter is all about, we need to make it as easy as possible for people to access good literature that will help them explore our Christianity." Speaking Volumes, an initiative of the Christian Book Promotion Trust, match funds gifts of Christian books and DVDs made to libraries – from public libraries to prison libraries – anywhere where books are readily available to a wider readership. Many of those who use the scheme are churches. Saturday 7 February is National Libraries Day. Despite declining funding for libraries, eight million people in the UK regularly use a library, according to the Chartered Institute of Public Finance and Accountancy. Almost half of people in poor areas regularly visit their library. In the government’s December 2014 report, Independent Library Report for England, William Sieghart says that, far from just loaning books, the local library "underpins every community". 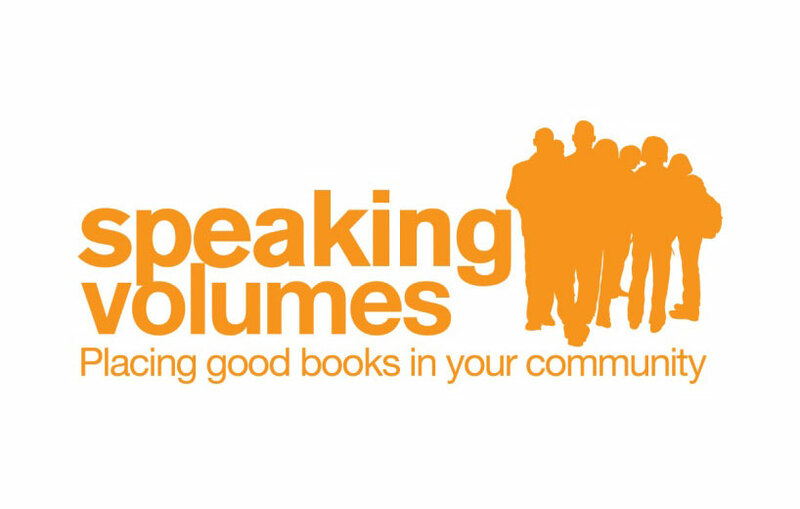 Speaking Volumes agrees with former Waterstones MD and library campaigner Tim Coates that the best course of action to safeguard libraries’ future would be to address the issue of falling book stock. "Churches can have a really direct and powerful impact on their communities by making Christian books available, in a place where people can read them inconspicuously if they’re just searching," says Paula. "And in poor areas particularly, borrowing a book from the library may be the only way that people will read these titles – and it’s also a very practical way of helping church congregations grow in faith." With 50% match-funding from Speaking Volumes, churches can buy books to donate to their local public library. There are 100 books and DVDs available through the Speaking Volumes scheme: all are selected by experts because they are useful, readable and attractive to someone who may have no understanding or belief in God. Fiction and children’s books are the most often borrowed books in libraries and Speaking Volumes’ new 2015 catalogue has a particularly strong and topical selection in these areas. Its titles include Michelle Guinness’s book, Archbishop, a story set in the future that charts the struggles of Britain’s first-ever female archbishop in a failing Anglican Church. Another is A Pennyworth of Peppermints by Mary Weeks Millard, a children’s book that captures what life was like for a family living through the Great War. Other subjects such as bereavement and coping with illness, debt and marriage failure are also covered in the Speaking Volumes range, and titles include books that explain Christianity and help a person grow in faith. If your church would like to give a library a gift of books, visit www.speakingvolumes.org.uk to find out more.